FRANKFURT -- German registrations fell at a slower pace in October as Europe's biggest market stabilized following disruption caused by the introduction of new emissions rules. 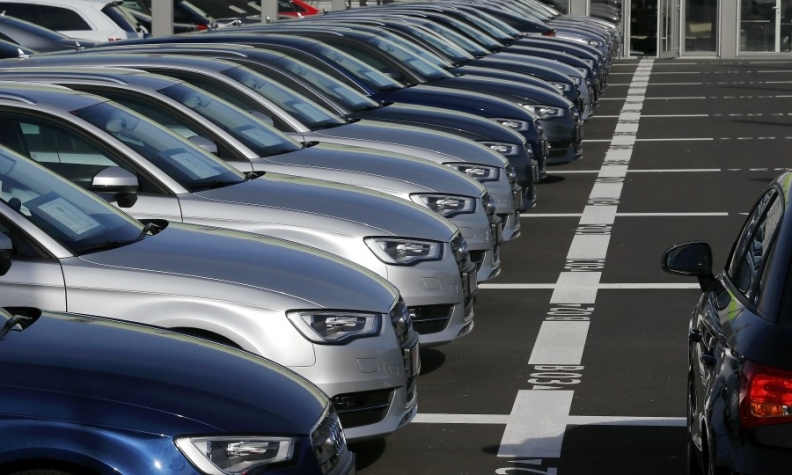 New-car sales declined by 7.4 percent to 252,628, the KBA motor vehicle authority said. In September registrations plunged 31 percent plunge. Ahead of the introduction of the Worldwide Harmonized Light Vehicle Test Procedure, or WLTP, in the EU for new cars on Sept. 1, many automakers had flooded the market to reduce stocks, which resulted in a 25 percent rise in sales in August. Since the start of September, automakers in EU markets have only been allowed to sell vehicles that have been certified under the WLTP, with few exceptions. Germany's VDIK importers association said the effect of WLTP can still clearly been seen but the market will stabilize because most automakers are offering trade-in incentives. Brands had mixed results last month. Porsche decreased the most, falling 74 percent, followed by Audi, with a 64 percent drop. VW brand sales declined by 19 percent. Seat's volume was down 13 percent and Skoda 8.8 percent. Nissan's volume declined by 52 percent, while Renault brand was down 37 percent. Other losers included Peugeot, down 18 percent, Fiat down 16 percent, Kia down 9.7 percent and Hyundai down 2.6 percent. Citroen fell 2.7 percent. Winners last month included Mitsubishi, up 63 percent, BMW brand, which rose 26 percent, Mini, which was up 20 percent and Mercedes-Benz, which increased 19 percent. Fellow Daimler brand Smart was up 23 percent. Volvo volume rose 21 percent, while Mazda was up 12 percent and Ford 5 percent. Toyota registrations grew 2.4 percent and Opel sales were up 2.4 percent. Through October, sales rose 1.4 percent to 2.92 million.